Have you ever wanted to stay and play like a ROCK STAR! 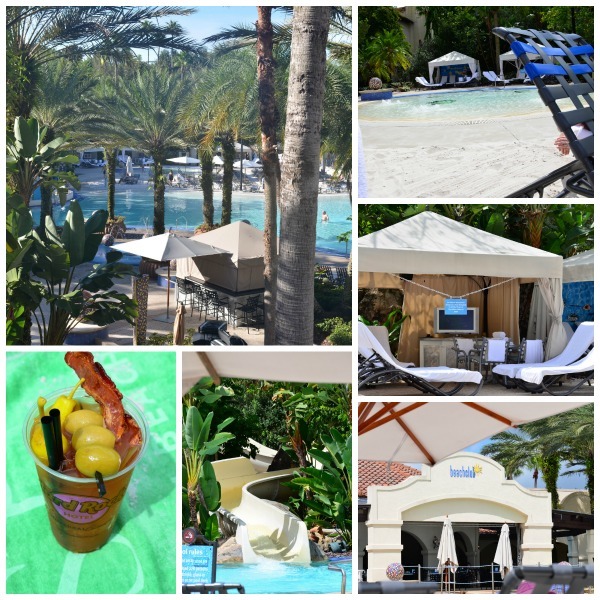 Then get ready to book your trip to Universal Orlando’s Hard Rock Hotel! I had the chance to stay there during Facing Fears Together, thanks to Universal Orlando and oh how impressed I was. Before I go into all the reasons why you should stay at Universal Orlando’s Hard Rock Hotel, let me show you a little video I created during my stay! The Hard Rock Hotel at Universal Orlando is one of Universal Orlando Resorts on site property. In fact, you can’t get any closer to the theme parks than when staying at the Hard Rock Hotel. It is a 5-minute walk from the Universal Studio front entrance, City Walk, and Islands of Adventure. The hotel is truly a dream come true for those, like me, who love their music. It’s filled to the brim with memorabilia you will wish you owned! 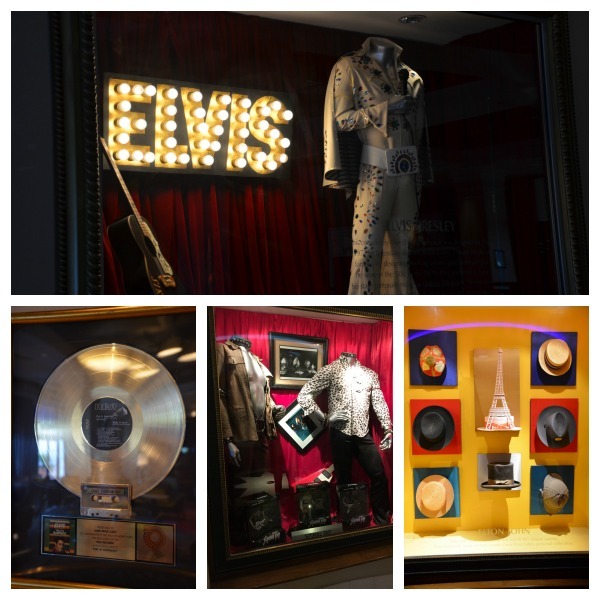 See hats work by Elton John, one of Elvis Presley’s suits, and many more awesome items from some of the most famous musicians of all time. You might even get to catch a show! While we were there Bret Michaels had a concert right in the lobby for Pinktober! You never know who you will run into at the Hard Rock Hotel! The minute I walked into my room I felt like a rock star. I loved the decor and colors. With a rock theme, of course, the room we stayed in offered fun decor and even a mirror that had the heights of musicians. It was fun to see how we measured up next to them. I slept so good in the beds, they were made for those who need to rest! We only ate breakfast at the hotel, but if it gave any inclination as to what the other meals would be like, I would say you won’t be let down for lunch and dinner. The breakfast buffet was amazing. 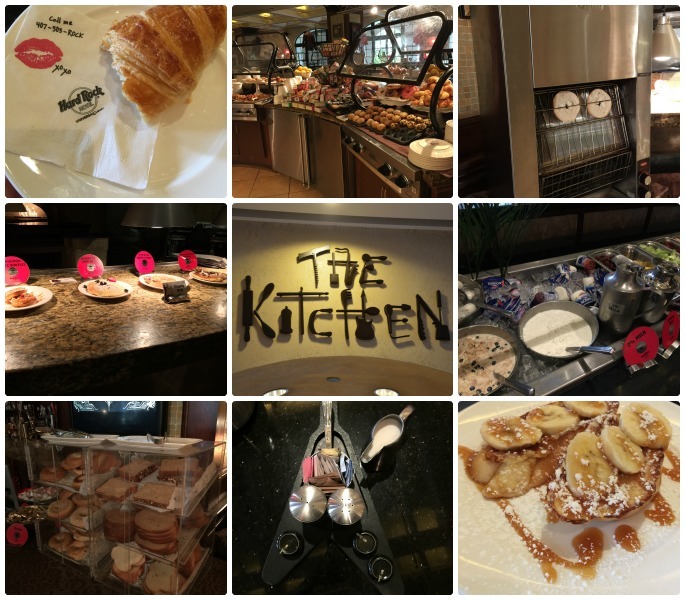 With hot and cold items as well as an omelet, french toast, and eggs benedict bar, you will leave feeling full and very satisfied. Heck, if I didn’t have a schedule to stick to, I would have hung around until I was hungry again just to eat more at that buffet. When you are ready to play, but need a break from the theme parks, the Hard Rock Hotel at Universal Orlando won’t let you down. The pool is perfect for lounging or playing. With a slide (see it in the video above) that will thrill kids and adults alike, you may enjoy just spending a day at the hotel. They also offer a volleyball court, ping-pong tables, shuffleboard, and much more to keep guests entertained. They truly have the rock star in mind when it comes to keeping it fun! Keeping with the “rock” theme, the entire hotel has fun decor throughout. The saxophone chandelier to the hip sitting area in the lobby just screams, “I am living a rock star life right now”! 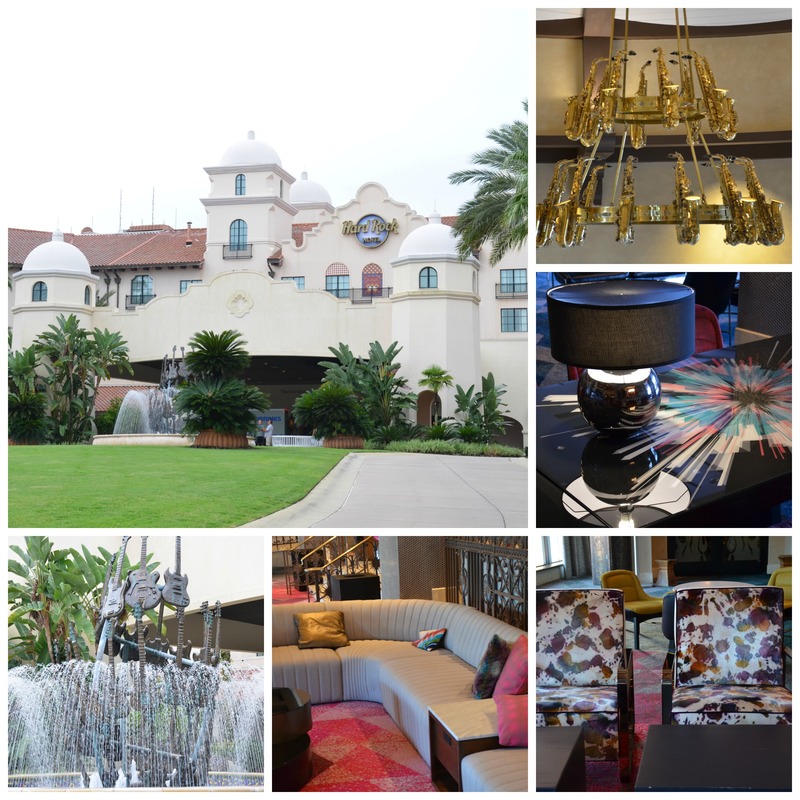 You can’t help but feel like you are part of the band when you stay at Universal Orlando’s Hard Rock Hotel! 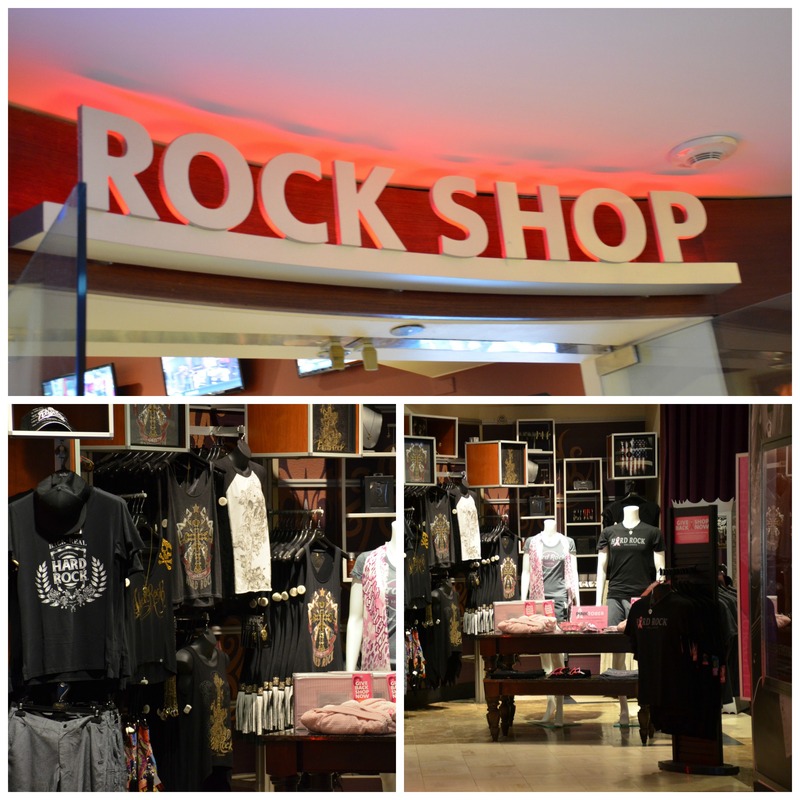 For those truly wanting to take a piece of the Hard Rock Hotel home with them, they have the Rock Shop where you can get all sorts of HRH merchandise. Rock out some of these looks on your next trip. I will say, this is one of the luxury hotels Universal Orlando has, so it is more costly than some other hotels BUT staying here gets you a UNLIMITED Express Pass to both Universal Studios and Islands of Adventure for each day you stay. Those passes are $90.00 a piece when you buy them. They get you past the lines, so you have little to no wait, on all but a few rides. That pass is reason enough to stay for me, not to mention the hotel is, well, Rocking! 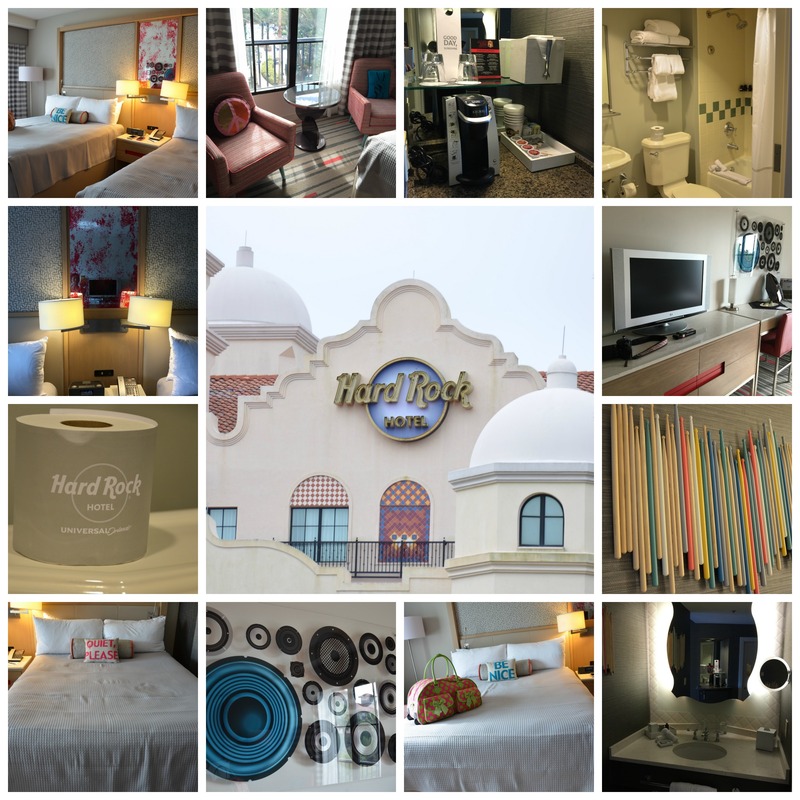 We will look into future stays at Universal Orlando’s Hard Rock Hotel because it’s convenient to the parks, has awesome perks, and the grounds are fun enough to stay and play at on their own! Hurry and book your stay at Universal Orland Resort Hard Rock Hotel!